The perfect tour for those of you who love good food in beautiful places. You can enjoy a glass of bubbly on the way to our first restaurant. We eat starters at the first restaurant, and then take the boat to our next restaurant for the main course. 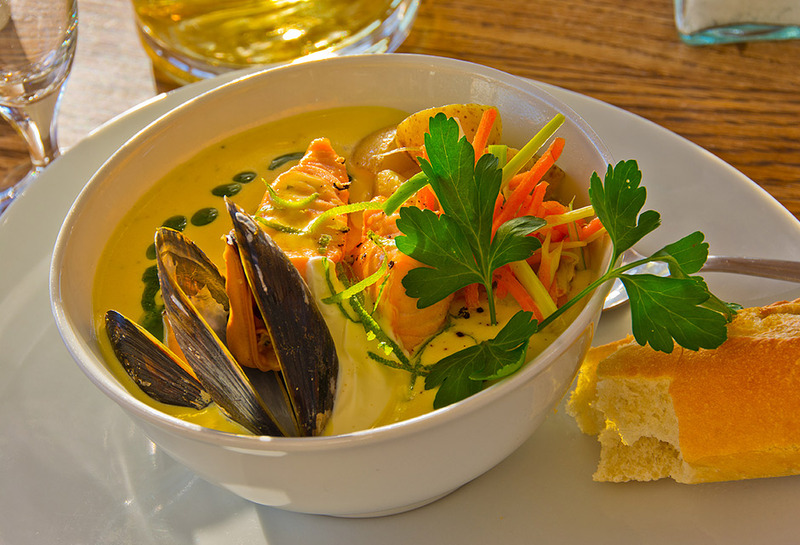 We do of course recommend traditional dishes like sill, shellfish and fish. But there’s plenty of meat and vegetarian choices too. To finish off, we dock at one of Gothenburg’s nice harbours for dessert and coffee, where we will say goodbye so you can continue the evening at your own pace. We are happy to sit down with you and choose the restaurants we will visit before the trip, or you can leave it to us to decide the most fitting places for your party.